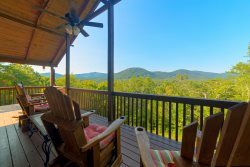 There are many things to do during the month of November, December, and January in North Georgia. The Civil War reenactment occurs November 10 and 11. This event features period villages, demonstrations, and skirmishes between the armies. The event occurs at Riverside Park in Helen. The most popular waterfall in the winter is Anna Ruby Falls. It is just a short walk from the trailhead. The Christmas parade runs the first Saturday in December and consists of the one and only jolly Santa, several of his elves, and other characters. The Deck the Halls Festival occurs the first Saturday in December and consists of a special Christmas meal, holiday crafts, and hayrides if the weather permits. Also popular at Unicoi is the Festival of Trees. 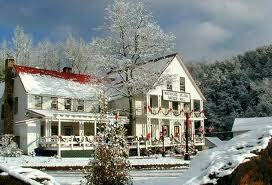 This festival features trees throughout Unicoi Lodge and the proceeds go to the United Way of White County. Also popular in the area is the annual on the square. This event runs from 3-8 PM on the first Saturday in December and has a parade that runs at 7. The second Saturday of December is Nacoochee Villages Christmas celebration. 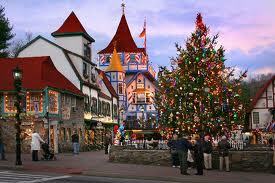 The first Saturday and Sunday in Helen is the annual Christkindlmarkt in the Marketplace. This is a German Christmas market. The market offers everything from unique gifts and decorations to an assortment of savory and sweet foods, drinks and candied treats. January features the annual Hogpen Hill Climb. This event features a 17K and 5K run and benefits Habitat for Humanity. 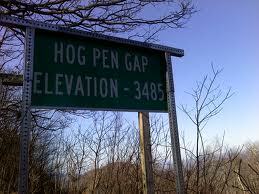 The 17K runs from Unicoi State Park to Hogpen Gap. The run goes over a scenic byway and covers several mountain roads. There is also an activity center about an hour from downtown Helen. Scaly Mountain Outdoor Center provides several activities including snow tubing, Bungee Trampoline, trout fishing, and ice skating. Trout fishing is done by the pound and all rods, reels, bait and tack are provided. Ice skating is done outdoors and it is best to call if you wish to use this feature. Tubing can be done year round and consist of soaring down a mountain. 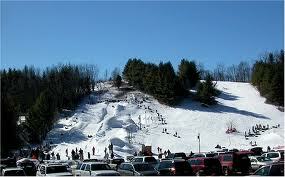 The winter version of tubing is best done in warm winter clothing since contact with the snow is expected. Also featured at Scaly Mountain is the restaurant which overlooks the center. Another fun activity about an hour away is the Magical Night of Lights near Gainesville. The lights are featured on a seven and a half mile run. The tour features several light displays. It is an inspiring ride through the tunnel portrayed by arches.